In ‘Around The Table,’ we highlight member news and share information on industry trends. This week, we spotlight on J.P. Morgan Chase, Boeing, Starbucks, Nordstrom, Alaska Airlines, Gates Foundation, Microsoft, CenturyLink, and Avista. Business leaders from around the state took part in Discover U Week earlier this month – an initiative created by the Road Map Project. The week saw hundreds of South Seattle and South King County students meeting with regional CEOs to learn about the great job opportunities in our state. Check out the video from Challenge Seattle to hear what career advice business leaders had to share with middle and high school students in our state. The video features interviews with an array of Roundtable members including Phyllis Campbell (J.P. Morgan Chase), Ray Conner (Boeing), Kevin Johnson (Starbucks), Blake Nordstrom (Nordstrom), and Brad Tilden (Alaska Airlines), as well as Sue Desmond-Hellman (Bill & Melinda Gates Foundation), Satya Nadella (Microsoft), and others. 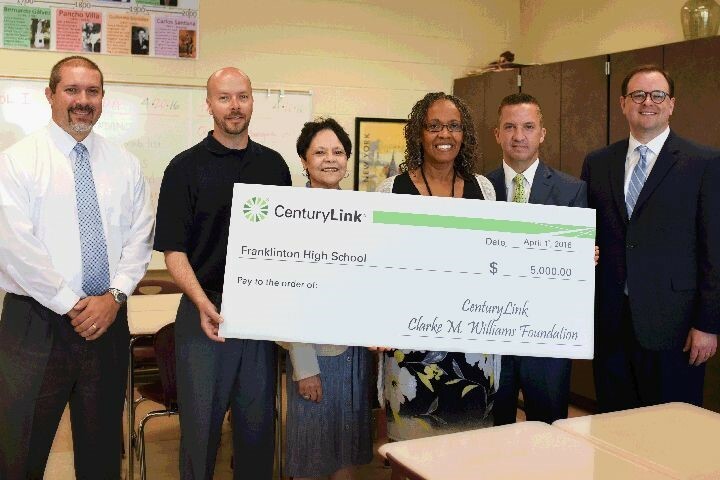 The CenturyLink Clarke M. Williams Foundation’s Teachers and Technology grants are designed to help fund projects that advance student success through the innovative use of technology. The program, launched in 2008, has awarded more than $5 million in grants to bring technology to classrooms across the county. The Foundation will continue its commitment to schools by awarding $1.4 million in grants to support technology in the classroom through its 2015-2016 Teachers and Technology programs. Teachers in public or private PreK-12 schools in CenturyLink’s residential service areas are eligible to apply for a grant for the 2016-2017 school year. Click here to learn more and apply. This month, Avista partnered with the City of Spokane and the Lands Council to plant over 2,000 native trees, shrubs, and grasses as part of the Spokane River Gorge Project. Hundreds of volunteers showed up for Reforest Spokane Day, a community effort to preserve and protect the city of Spokane. Tree planting is especially important to the Spokane River, as it provides much-needed shade, reduces traffic noise, and absorbs stormwater, resulting in cleaner watersheds.